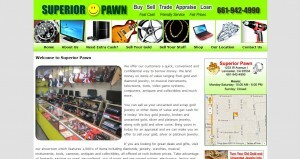 Superior Pawn address, phone, website, hours of operation, and more. Here at Superior Pawn we care about our customers. We have been serving Lancaster, CA and the surrounding Antelope Valley areas since 2002 and celebrate our long history with the community by providing our customers with quality merchandise, low prices and, most importantly, great customer service. We are dedicated to beating any competitor’s price. 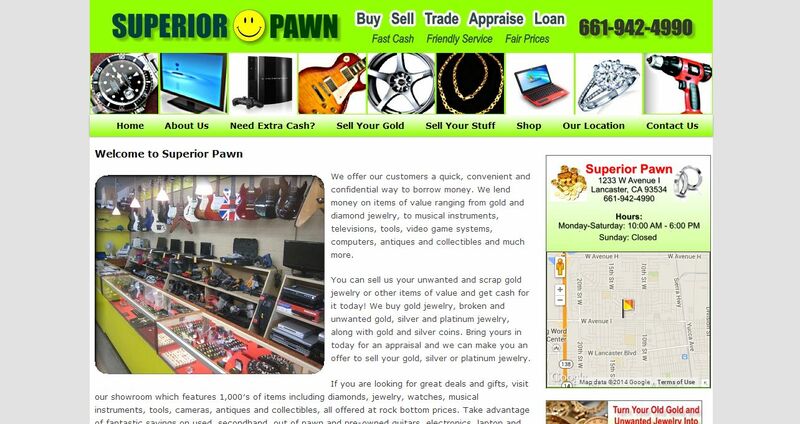 Superior Pawn is known for having the highest buying price and lowest selling prices in town. We encourage our customers to shop around and prove that Superior Pawn is the best pawn shop in the Lancaster, CA area. Since Superior Pawn was established in 2002, we have continued to grow and evolve our business model to fit the changing demands of the industry and the times. Come see our daily revolving inventory which hosts the newest technology, largest selection and best prices in town. We compete with pawn shops nationwide to ensure the best quality merchandise at the most competitive merchandise. At Superior Pawn you can expect only the best equipment, technicians and specialists to streamline your transactions and ensure you are completely satisfied with every visit, guaranteed.